These two Hansen & Adkins rigs were laying over at my motel during my trip to Marion, OH. Note the difference in the 2 bodies. The rig in the upper photo uses a screw system to move the ramps, the other uses the more traditional hydraulic cylinder system. 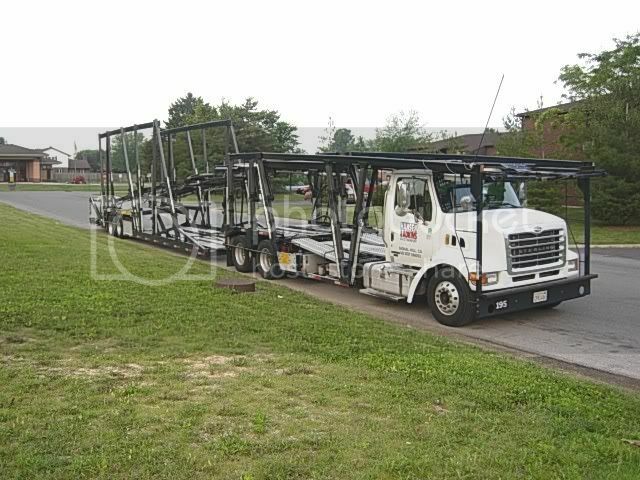 What manufacturer does Hansen & Adkins haul for? I see there was an Allied Systems parked there too. I was talking to the driver of the bottom rig, he said he was domiciled in Smyrna, TN, so I take it that they work for Nissan, at least at that terminal. I had never heard of Hansen & Adkins before that day, they are based in Signal Hill, CA. The Allied rig had a load of Nissans. 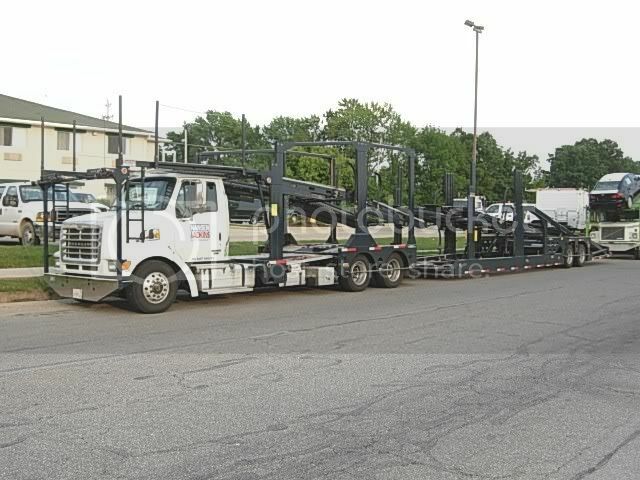 The Allied truck uses a system of ropes and long 4"x4"'s and anything else that laying around, except for the driver, who is opperated by the screw system.